21st April 2016 – London, UK – Musion Events Limited and its holographic technology took centre stage in the stunning TV launch of No7’s new beauty product, available exclusively at Boots. 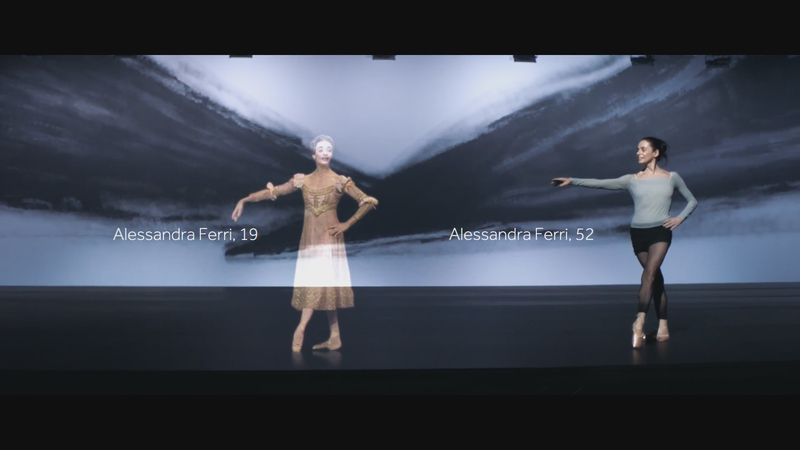 Alessandra Ferri – aged 52 and one of the world’s most iconic ballerinas – danced alongside her 19-year-old holographic self in the world’s first TV commercial of its kind. This was also the first mainstream TV commercial directed by BAFTA-nominated Tom Harper, of BBC War & Peace fame. Sourced from an archive Royal Ballet performance of Romeo and Juliet, the younger Ferri gracefully leapt and pirouetted across the stage before vanishing into thin air. On seeing her past self, the real Ferri then summons her inner strength, energy and belief of ‘living in the moment’ to demonstrate that her famous talent has not diminished, an example of skill and passion that perfectly represents No7’s new brand values. This incredible performance, choreographed by award winning Wayne McGregor, was possible due to the expertise of advertising agency Mother and production company Tomboy Films. They worked alongside Musion Events Limited and content producers, Four:55, to create the breathtakingly natural commercial. Over 450 hours went into the production of the first ever moving camera rotoscoping to create the holographic content. Thanks to advanced filming and projection techniques pioneered during the shoot, the team overcame a number of technical challenges to create the commercial. These included identifying a suitable original performance, the use of tracking cameras during the shoot, balancing motion blur, adjusting image sharpness and general colourisation. The commercial for No7 Lift & Luminate TRIPLE ACTION Serum first aired on the 16th April 2016 during ITV’s Britain’s Got Talent and it will air over 1000 times in the UK and Ireland over the next two months.